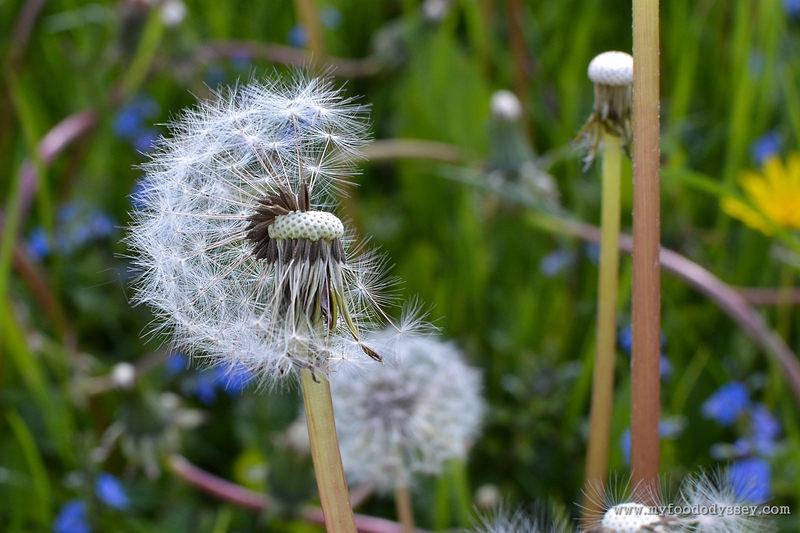 It feels like only a few days ago that my garden was awash with golden dandelions. All of a sudden the golden flowers are gone, only to be replaced with white seed heads. 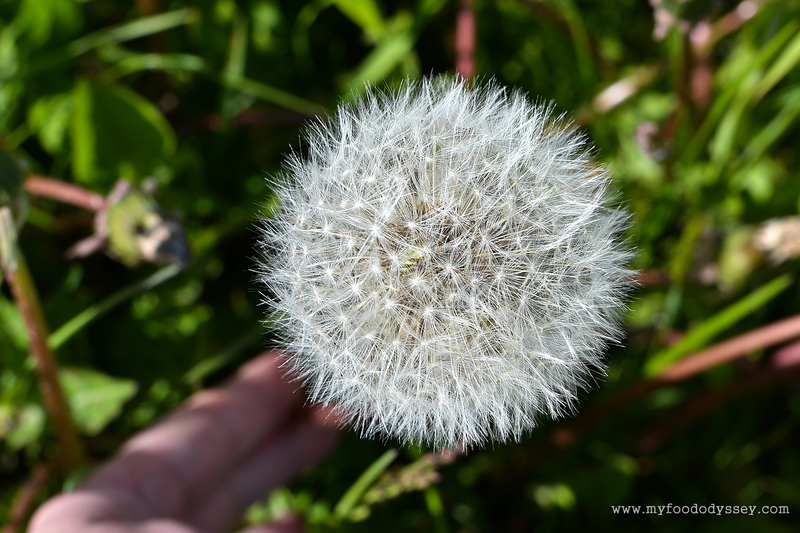 These incredibly intricate seed orbs have always been a fascination to me. 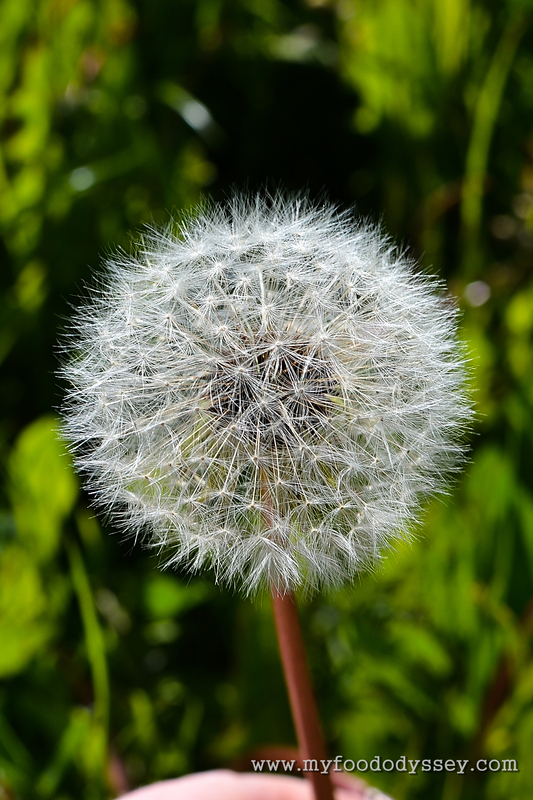 When we were kids we used to blow them apart to tell the time – whatever number of blows it took to take all the seeds off the stem was inferred to be the current time. 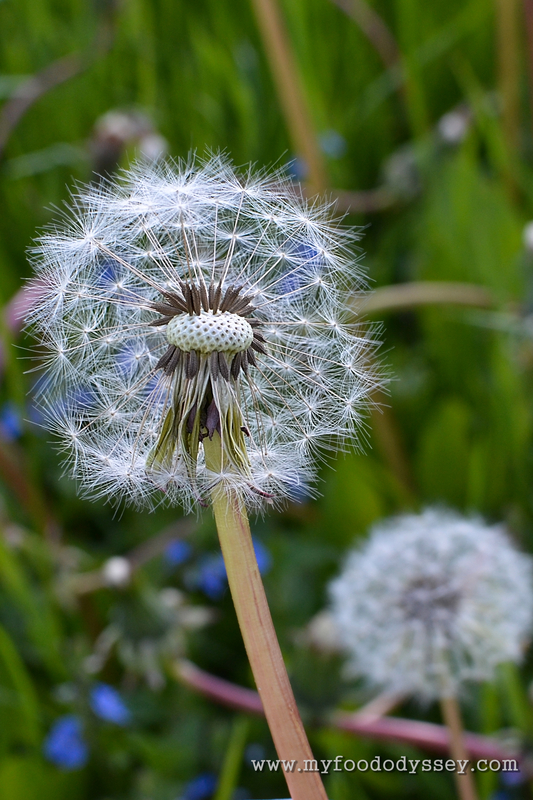 It never worked, of course, but that didn’t stop us from blowing flower after flower, in effect helping nature to spread the seeds and thus ensuring more dandelions the following year. Beautiful and effective. Thanks Shelly! I think they’re beautiful too! When my daughter was a toddler,she called them wish flowers. A very special memory. I like that idea, Holly. Make a wish, then blow and watch the wish being carried off in the air. Lovely. Your photos are brilliant, June! Such beautiful photos! And thanks for reminding me of the Frost poem; it has been a long time since I thought of it. there is anywhere they do not grow? beautiful photos! 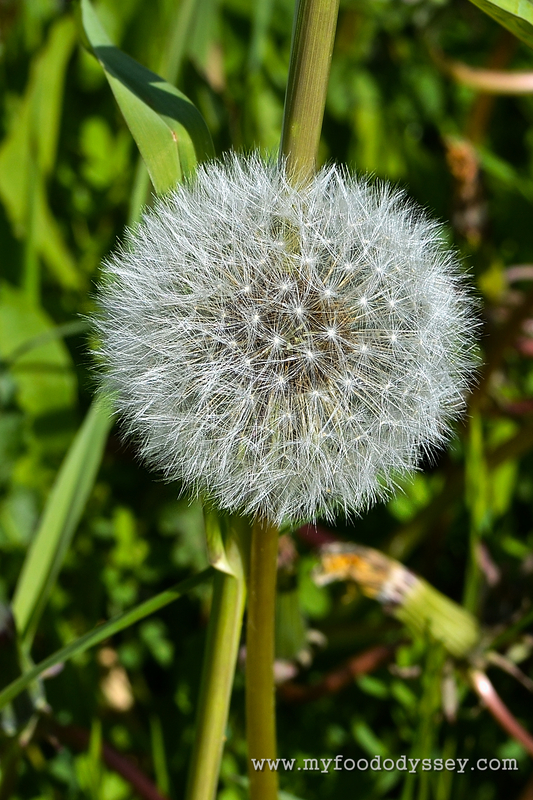 I never noticed how lovely a dandelion seed puff is. Thank you.